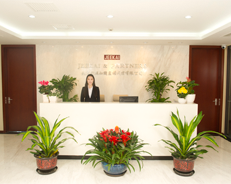 Jeekai & Partners established its Shanghai Office in Pudong New District in 2016. The head of the office is Huizhong Lu, Doctor of Science of Economic Law, who joined Jeekai & Partners in 2004. Doctor Lu is a senior patent attorney and has extensive experience in patent preparation, prosecution, invalidation, litigation and enforcement matters. The firm was established in early 1998, and won a very good reputation and appreciations from the clients in its high quality services, responsible attitude, and reliable management as for Chinese IP protection, especially for preparation and prosecution of Chinese patent and trademark applications, and IP litigations. The Shanghai office commits to high service standards to serve the enterprises in the Eastern and Southern China. It has already established cooperation with the Collaboration and Innovation Research Institute of Shanghai Zhangjiang Colleges and Universities to provide full services for the intellectual property work of the colleges and universities in Shanghai and Eastern China. As always, we will continue to provide our better services to our old and new clients.